Like pretty much everyone else I knew in 2002, I was riveted by the story of Elizabeth Smart, the cute, blond, harp-playing, horseback-riding Mormon girl who was kidnapped from her Salt Lake City home in the middle of the night. And I was stunned and thrilled when she was found alive nine months later and returned to her family. I hoped she would somehow find a measure of peace and normality again, but didn't think much more about her. A few years later I remember watching a brief interview with Elizabeth when she was 18. Nancy Grace started asking probing questions about Elizabeth's feelings while she was being held captive, questions designed to extract salacious details, to manipulate Elizabeth and exploit her trauma. I was disgusted. And then I watched as, on live television, Elizabeth held her own against a persistent and experienced media professional, shutting her interviewer down with a reminder that she was there to talk about pending legislation she wanted passed and a simple, "to be frankly honest, I don't appreciate you bringing all this up." My respect for her skyrocketed that day. Elizabeth Smart is her own person, and speaks on her own terms. Elizabeth, you're going to meet lots of people in this life. Some of them will like you. Some of them won't. But of all the people you'll have to deal with, there are only a few people that matter. God. And your dad and me. God will always love you. You are his daughter. He will never turn his back on you. The same thing is true for me. It doesn't matter where you go, or what you do, or whatever else might happen, I will always love you. You will always be my daughter. Nothing can change that. Elizabeth goes on, "The realization that my family would still love me proved to be the turning point. In fact, it proved to be the most important moment throughout my entire nine-month ordeal." She realized that she had a purpose and reason to stay alive. "It was at this moment that I decided that no matter what happened, I was going to find a way to survive. The conviction was crystal clear. I would do whatever it took to live. No matter what it took, no matter what I had to do, I was going to survive." She fills in details on where they camped, why they went to California and why they came back to Utah, the deprivations she was subjected to, her kidnappers' selfish and odd choices and the disdain in which she held both of them. While she cooperated as much as necessary to protect herself and her family, which her captors constantly threatened to kill if she displeased them, she held on to her defiance whenever possible, learning how to carefully manipulate him with apparent religious fervor and obedience. After the heart-warming homecoming scene, there is a brief coda where Elizabeth describes the trial in 2010 and her recovery from everything that happened to her. I was completely shocked when she said that she has not received any professional counseling and was immediately concerned that others might try to follow her example, but she is very careful to stress that "every survivor must create their own pathway to recovery." What works for one might not work for another. Therapy, medicine, and counseling might be the right path for some people, but not for others. The fact that I chose a pathway to recovery that worked for me is not to suggest that it's the best path, or that it's the only path. The only thing it suggests is that I found the path that worked for me. Elizabeth path to recovery includes her strong and loving family, a perspective on suffering as a constant human experience, horseback riding with her Grandpa Smart, throwing herself into her music, holding on to gratitude, and reaching out to help others. She's the president of the Elizabeth Smart Foundation which works "to prevent and stop predatory crimes." Her primary focus is on "empower[ing] children through education and understanding of choices and options." 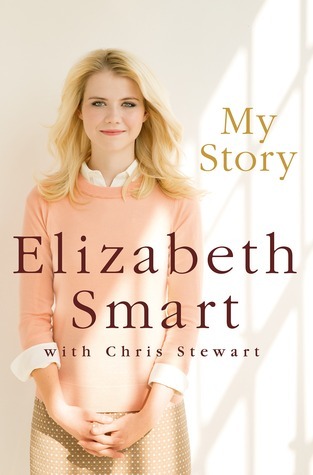 Elizabeth Smart has repeatedly demonstrated incredible strength, poise, courage, and determination. Her resilience is admirable, and her willingness to use her experiences to change the world for the better is inspiring.